Professor, Ph.D., M.Sc., Yunita Triwardani Winarto (Universitas Indonesia, Indonesia) is professor in anthropology at the Department of Anthropology, Faculty of Social and Political Sciences, Universitas Indonesia; the Academy Professor Indonesia in Social Sciences and Humanities (KNAW and AIPI); and a member of the Indonesian Academy of Sciences (AIPI). She received her 1st and 2nd degree in anthropology from Universitas Indonesia; M.Sc. in environmental technology from the Centre of Environmental Technology, Imperial College of Science, Technology, and Medicine, London; and Ph.D. in anthropology from the Australian National University. Her research in the area of human ecology and agriculture focuses on farmers’ empowerment, creativity, knowledge formation, and adaptation to climate change and its consequences. 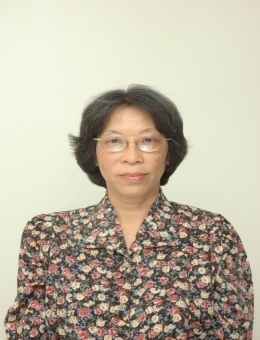 She published numerous articles in national/international journals, edited books, and monograph. Seeds of knowledge: The beginning of Integrated Pest Management in Java (2004), Bisa Dèwèk: Kisah Perjuangan Petani Pemulia Tanaman di Indramayu (2011), and Agrometeorological Learning: Coping Better with Climate Change (2011) are parts of her publication.